Inside the ruins of Ankor Wat in Siem Reap, Cambodia. This past year was one of the most memorable years of my life because I did something big. Like, really big. I took an entire year off from teaching. I didn't take a leave of absence (in fact, I ended up moving states), I didn't take off either because of recently having a baby (which I didn't have, but just saying) as most mothers rightfully would and wanting to stay at home, and I didn't take off because of some other issue. I took a year off for myself. To travel. To see new things. To meet new people. To experience new cultures. And I don't regret a second of it. This post is long. This post is personal. I could go on and on and on and on and on about this experience I am about to share with you. I wanted to keep it as brief as I could. Please feel free to ask questions or reach out in the comment section at the end of the post for more information, advice, or anything else you may want to know about. I had taught three years of first grade in Arizona and taught one year of first grade in Oregon. Though Oregon was beautiful (and I still miss it to this day,) it wasn't the place for my boyfriend and I (who is also a teacher). Before heading back to Arizona, Alex and I decided to fulfill our wanderlust fantasy and take a year off to travel. 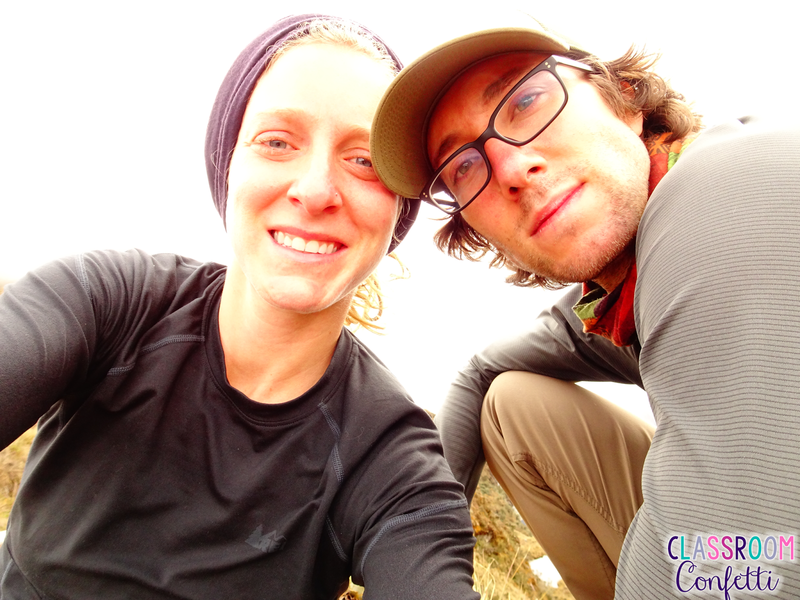 Alex and I after completing the multi day Quilotoa Loop Trek in the Andes of Ecuador. It was something we always fantasized about and was topic of conversation many nights. In fact we were so semi-serious about it that we even begun some deliberate saving. We kept saying, "the year after next, the year after next." 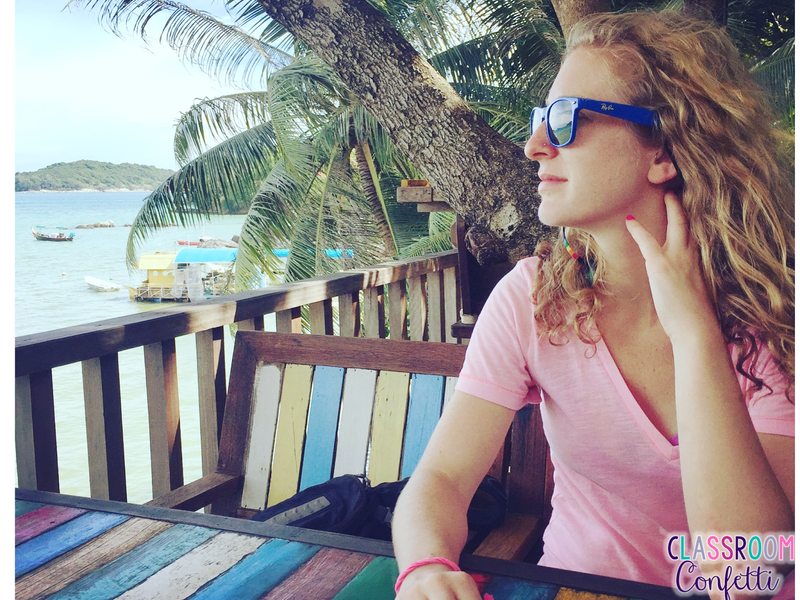 Taking a year off to travel was a goal we had discussed, but how attainable was it really? It was more of something fun to talk about, never imagining it could really happen. 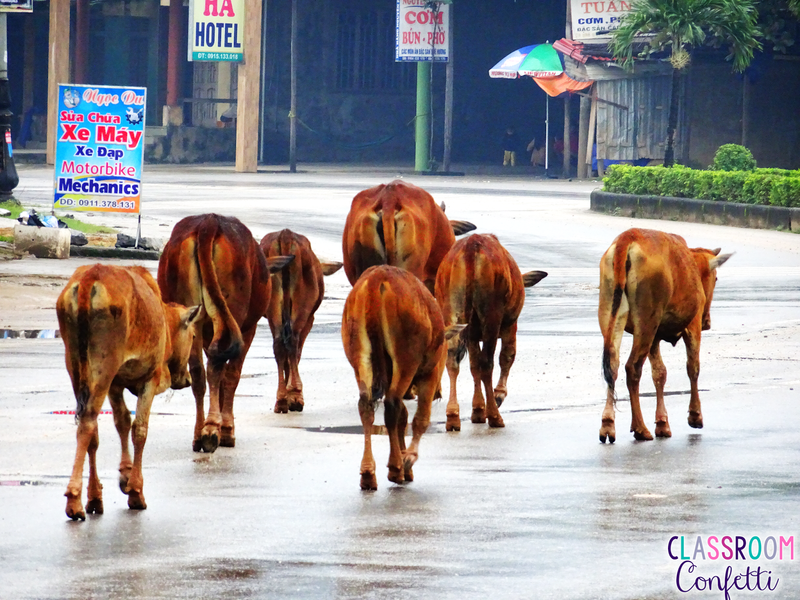 Cows walking the street in central Vietnam. Towards the end of the school year in Oregon there was some moving around in the district we worked in. My position was no longer available for the next year. Perfect. A real excuse to take a year off before settling into a new position in a new school in a new classroom. The news of me having to be moved around was the first spark. We began taking this thing a little more seriously now. Our deciding factor, why not? Whether we stayed in Oregon or moved back to Arizona (which we were desperately missing the sun at that point,) we would be starting in new classrooms. We had the money saved. We were ready for a change. If we were going to take a year off, this was the time. I'll admit it now, I was scared. Planning went into action including weather charts, where to keep our things and how much stuff to sell, customs requirements, how we will adjust to coming back after a year, plane tickets, vaccinations, etc, etc. It was a headache. There was so much to think about. But we just dove in. We began with our long list of vaccinations after reviewing where we wanted to go. We began donating clothes and items we didn't need. (Very refreshing to binge everything!) We became more realistic with countries we wanted to visit and how to get to each. 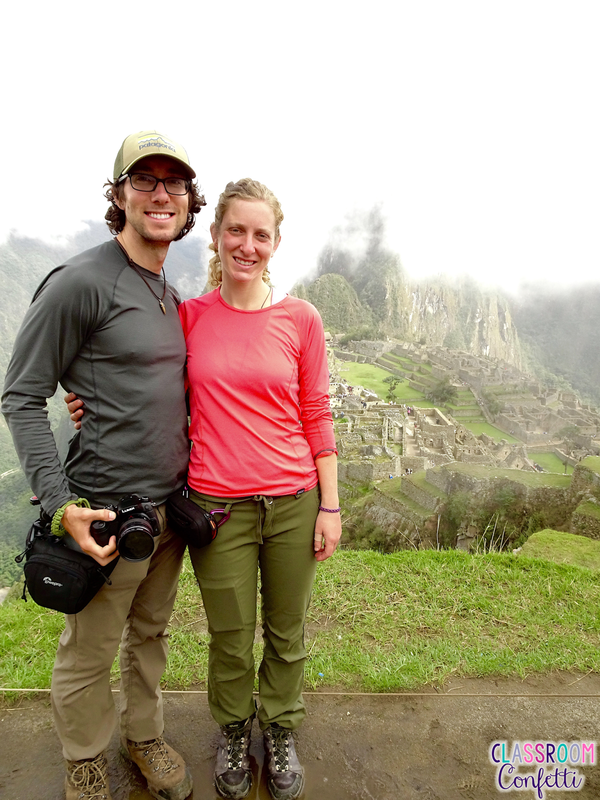 Our plan to take a year off was becoming real, so real in fact we purchased plane tickets and reserved our guide to hike Inca Trail at Machu Picchu. What we lived out of while we were travelling. We only brought to Arizona what could fit into our two cars, a Nissan Xterra and my baby; a Honda Civic. Everything else was sold or given away. We had a couple weeks in Arizona before we left while we ran last minute errands. 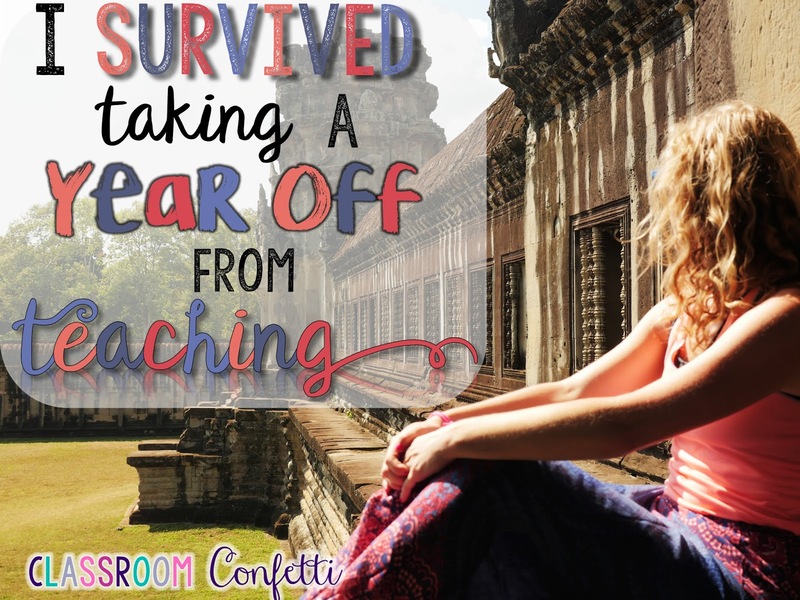 Mostly, getting our minds ready to take a year off from teaching to travel. Feeling excited after Day 1 of the Inca Trail. Ecuador was first up. I can still feel the nerves as our Taxi driver whipped through the windy streets of Quito, Ecuador, feeling anxious when stepping out into an unknown city, in a new country and wandering their colorful streets. We now laugh at how nervous we were, as being a in new place in an unknown country became our norm for the next 5 months. 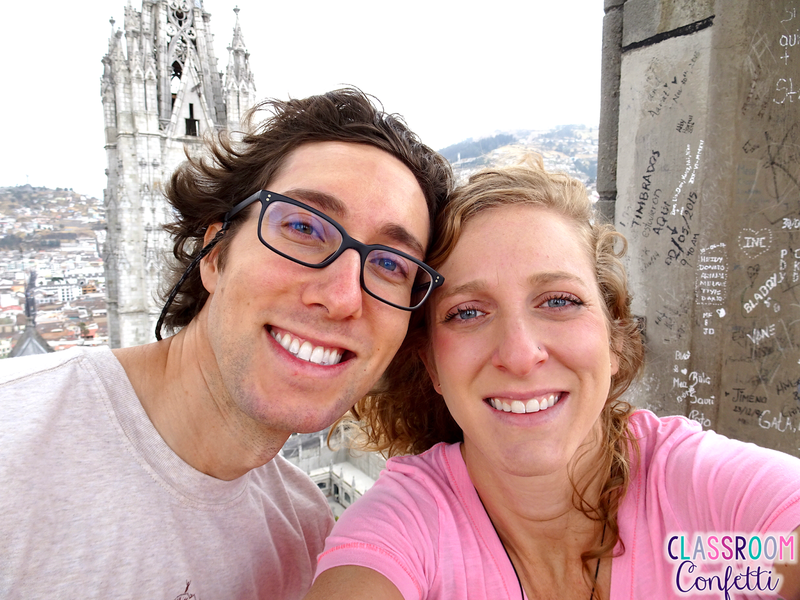 Day 1 of our worldly adventure in Quito, Ecuador. 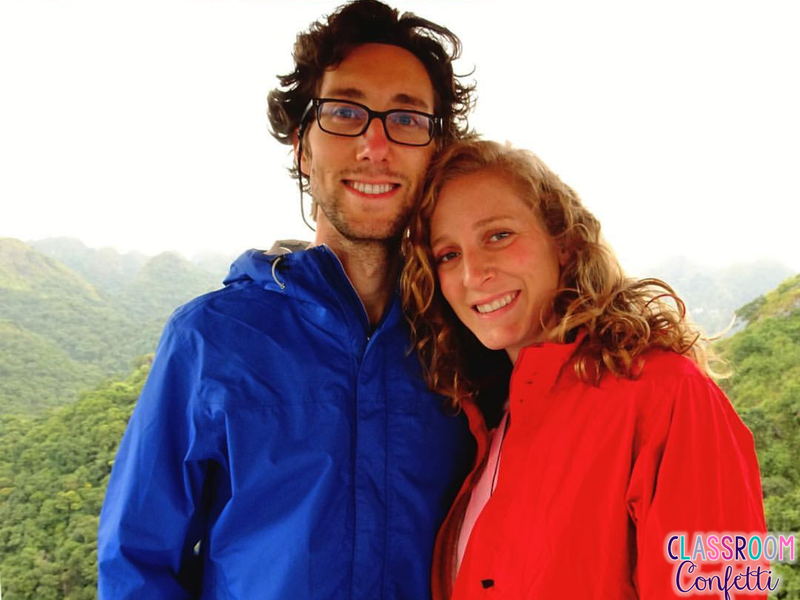 Traveling through Ecuador up to the mountainous Andes, to the coast to see the Blue Footed Booby, back inland to the cloud forests of Ecuador and down south into beautiful northern Peru, we were feeling invincible. After recovering from some homesickness (which we had anticipated,) we picked up again and travelled south through Peru to Cusco to prepare for our Inca Trail trek. 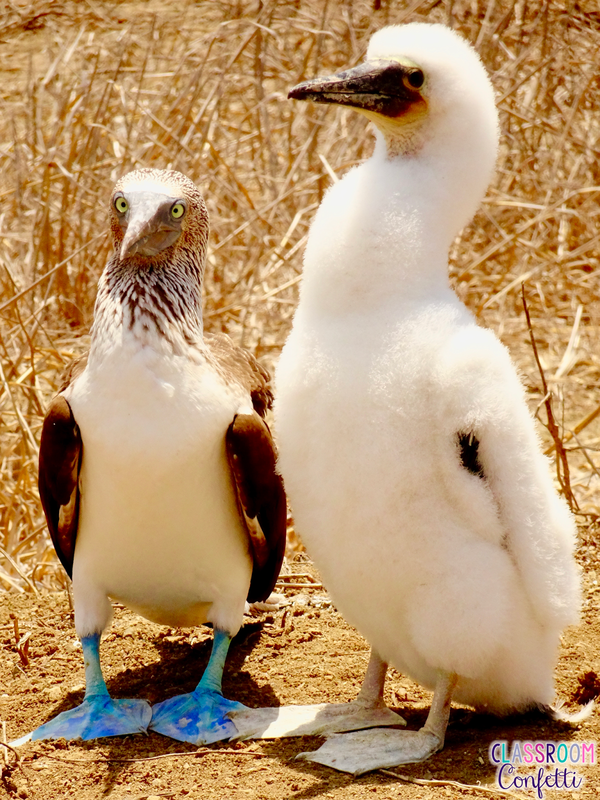 Blue Footed Booby and her chick on Isla de la Plata, Ecuador. 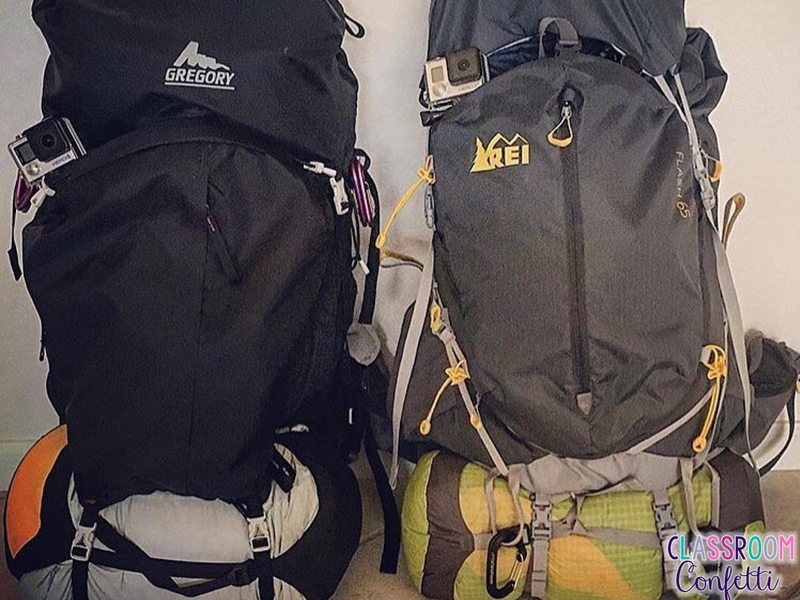 We were nearing the end of month 2 and were beginning to plan the next couple weeks into Chile. After discussing whether or not we should make a pit stop home before traveling to Southeast Asia (it was cheaper to stop back in the States then to fly direct!) we began our Inca Trail trek. With Machu Picchu in sight and an amazing group of people to trek with, our Peru expedition was coming to a close. 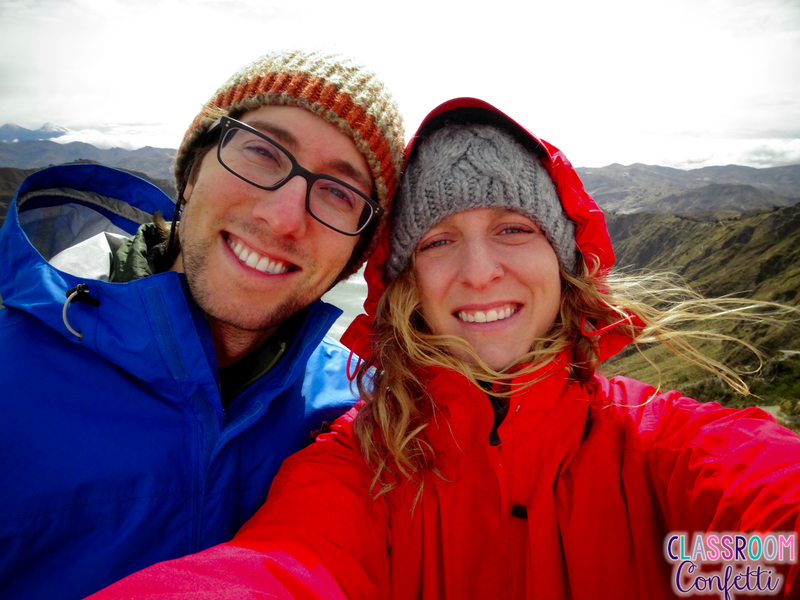 We were excited to move on with our travels into Chile and then to Argentina. Feeling confident after Day 2 of the Inca Trail. Exhausted and in need of a hot shower, we made it to the glorious Machu Picchu. Chile did not happen. Nor did Argentina. 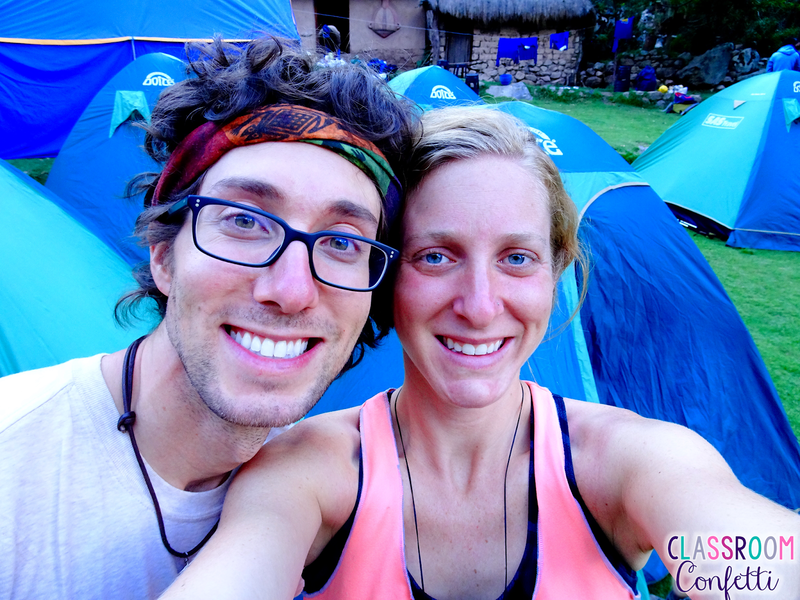 Alex and I ingested a nasty parasite while on the Inca Trail. Sadly, this was the end of South America. We began losing morale. We flew home the next day, leaving Chile and Argentina for another time. Once home, we were bound to the house for three weeks. Our morale began sinking even more. 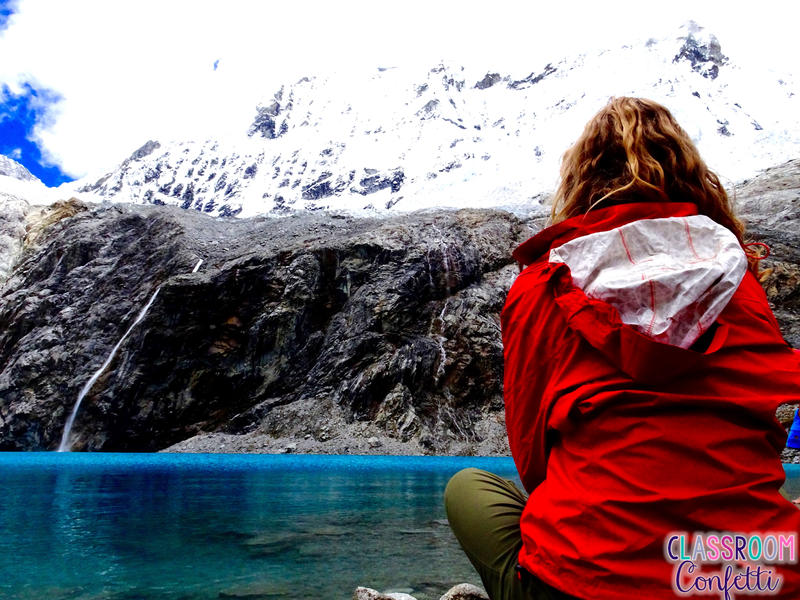 Resting by Laguna 69 at over 15,00 feet in Northern Peru. Alex and I were definitely bummed by being sick and the pause in travel plans. Neither of us had ever felt that weak or ill in our lives. This was a major hiccup. But a hiccup only. Our wonderful travel nurse suggested some homeopathic cures to kill the parasite. After a few weeks of Arizona sunshine, papaya, and garlic milk, we were feeling more inspired to continue what we started. On to Southeast Asia we went. 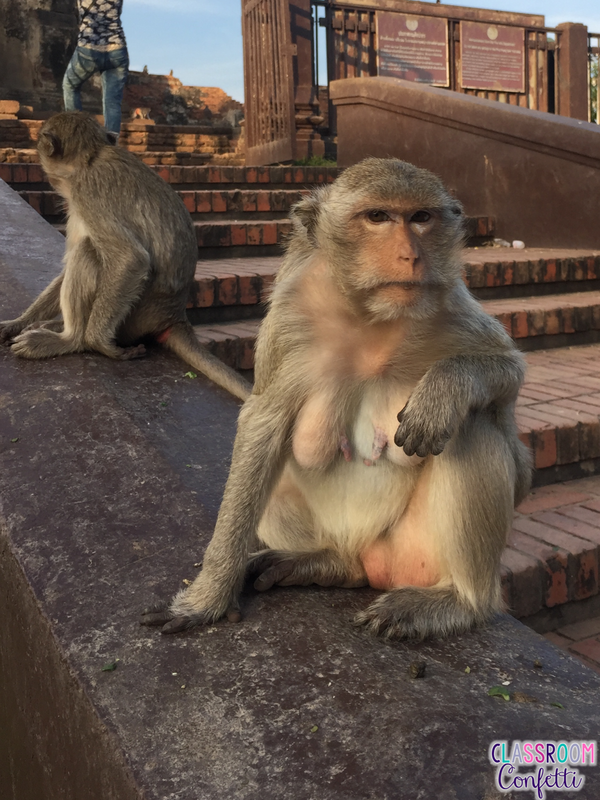 Monkeys hanging outside an old temple in Thailand. Zipping around the bright lights and busy streets of Bangkok, Thailand did not give us the nerves we had in Quito, Ecuador. This time we knew what to expect and we were ready. Traveling north through Thailand we were ecstatic. 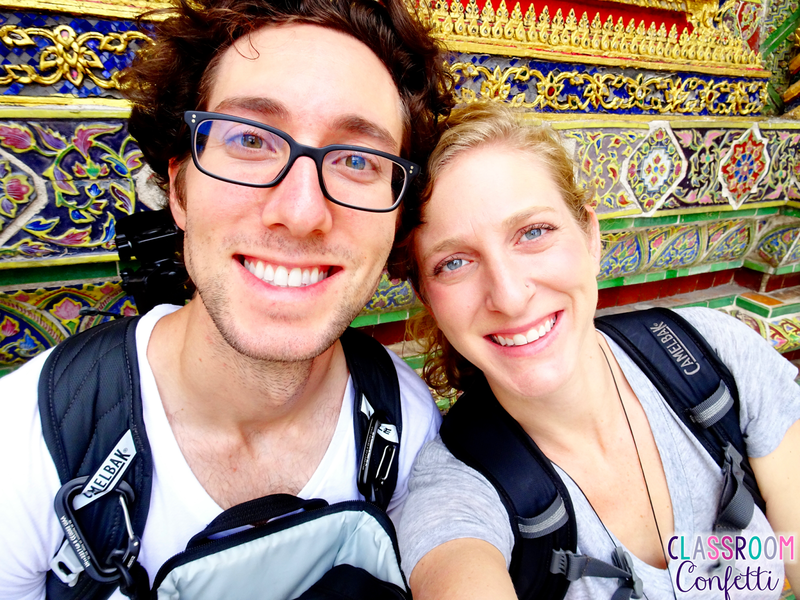 Besides some food poisoning in Pai, Thailand, our travels were running smoothly. Even smoother then South America. Was it because we were used to budget traveling? Was it because we overcame some obstacles in South America? We didn't know and we didn't care. 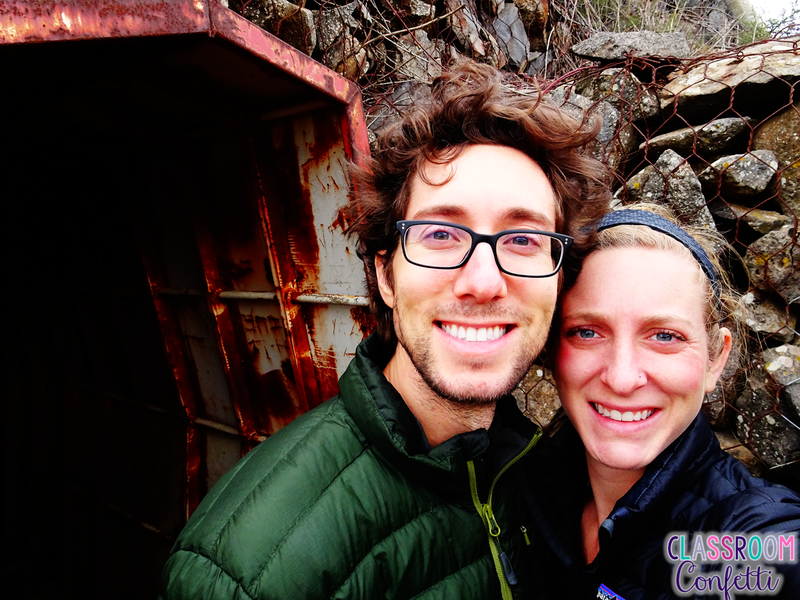 Alex and I were back to achieving our goal of travel and we couldn't be happier. Alex and I on the Grand Palace grounds in Bangkok, Thailand. 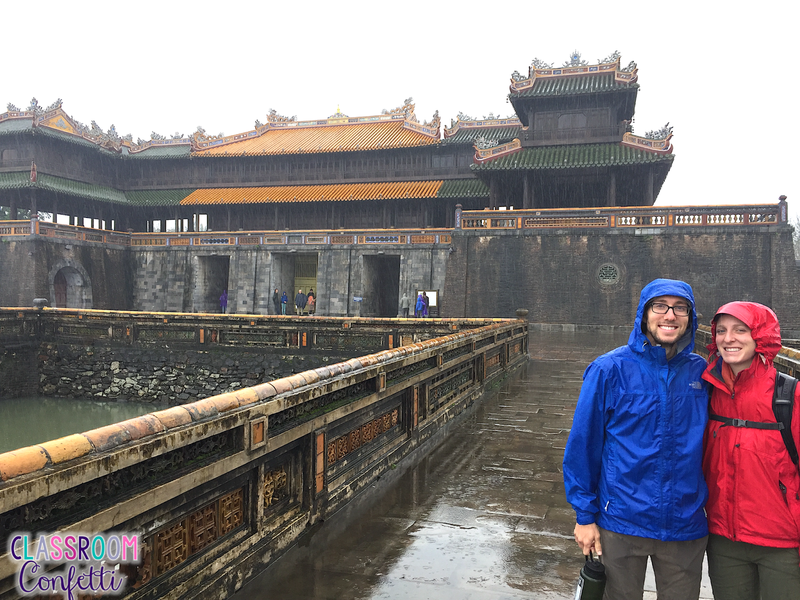 Because we were seasoned travelers at this point (or so we think,) the rain of Vietnam didn't bother us as much as it should. 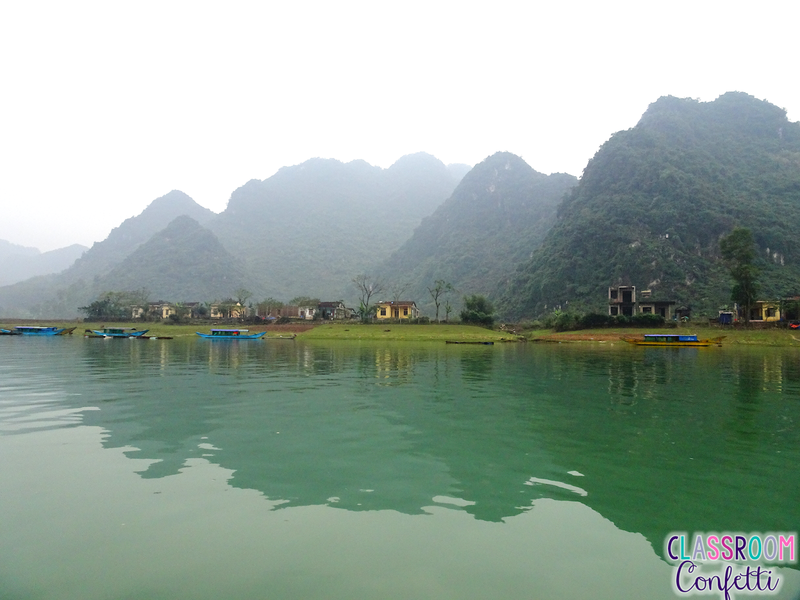 We enjoyed relaxing in Sapa, cruised through Ha Long Bay, took double decker night busses, and stuffed ourselves with Pho each day. On rainy days, we vegged out. 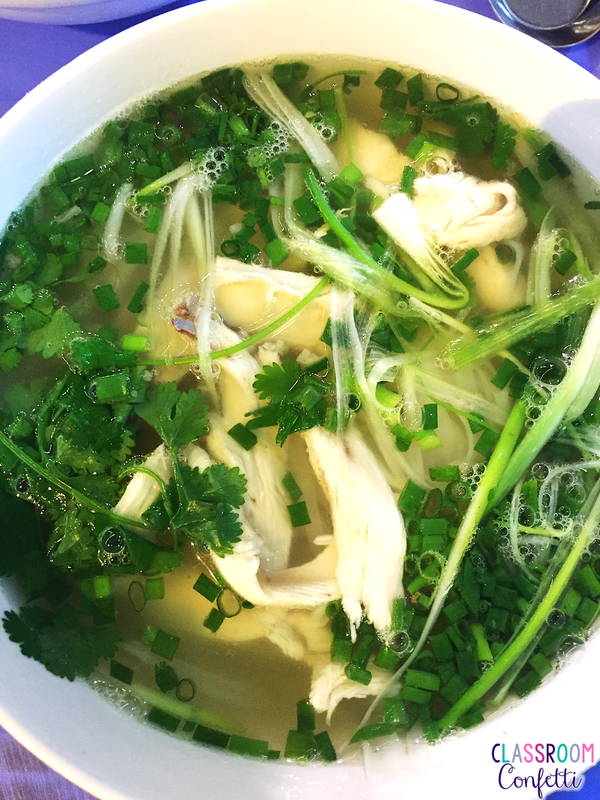 A delicious bowl of Pho in Vietnam. 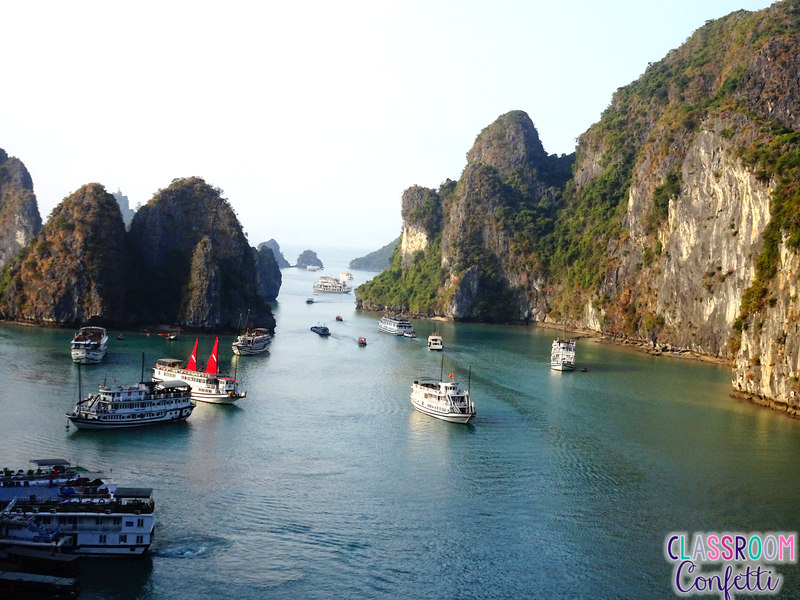 We continued traveling south through Vietnam and into Cambodia and back into Thailand to travel south to the islands. Indonesia was on the original plan, but because of weather conditions we made Thailand our home for a few more weeks. Sticking out the rain in Hue, Vietnam. Alex and I overlooking the Dead Sea in Israel. After a brief visit home, (again it was cheaper to fly home the not fly from southeast Asia to Jerusalem,) Alex treated me to a two week Israel trip for my 30th birthday to top off our 5 month travel itinerary. Let's just say going to a first world country from third world countries was a luxury. 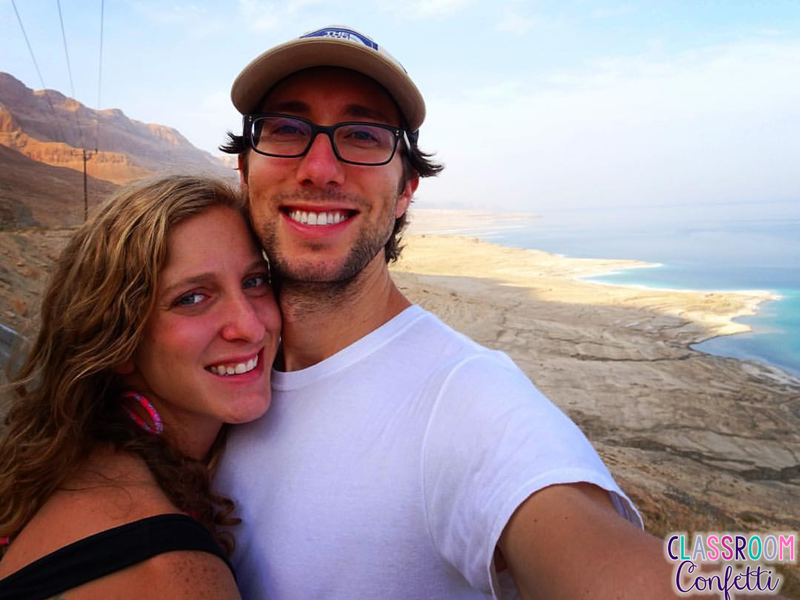 The two weeks traveling through Israel was the perfect topper to our travel adventure. 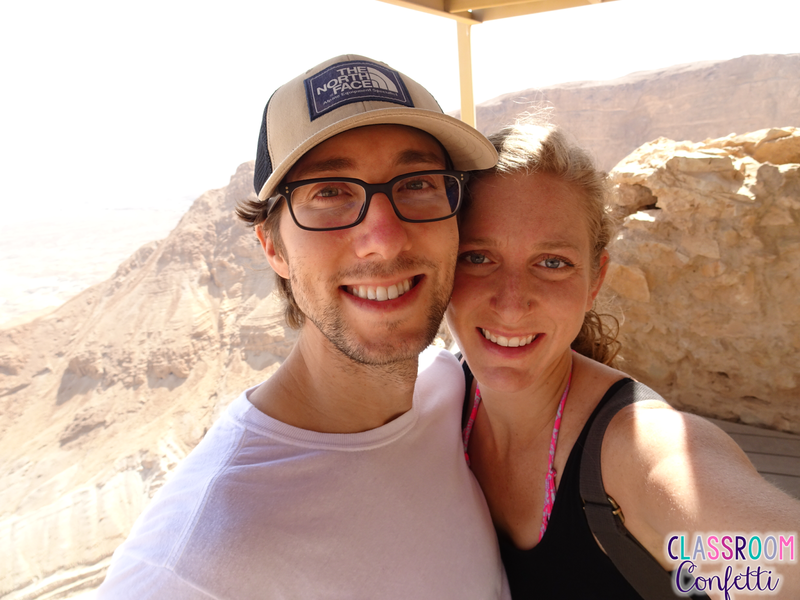 Alex and I atop the Masada Ruins in Israel. I learned a lot about life. What I had not stated earlier is that originally Alex and I had planned to visit somewhere around 14 countries; we ended up visiting 6. We learned to travel slowly and absorb our surroundings. I take this lesson with me back home. Take life slowly, enjoy the small moments, don't worry too much about the future (this is challenging for me, I'm a planner!) and take life as it comes. Be brave. 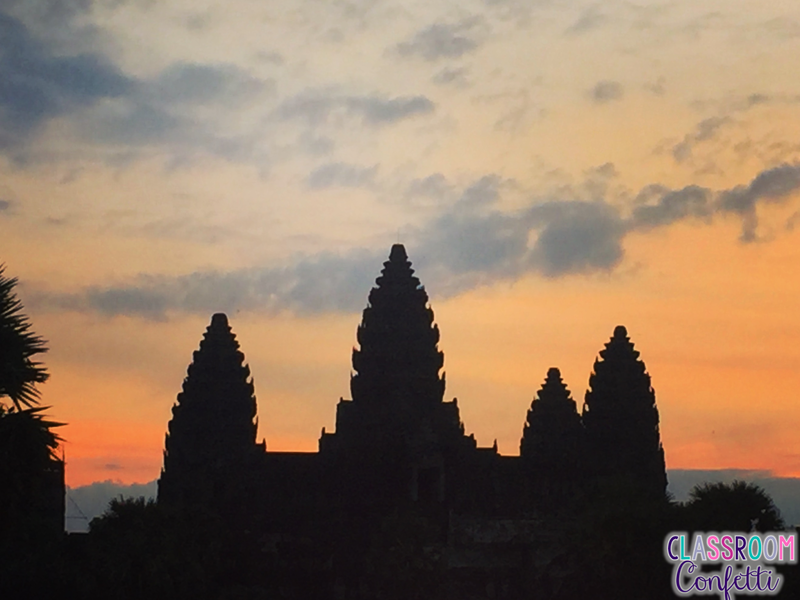 Ankor Wat at sunrise in Siem Reap, Cambodia. I learned a lot about the world. People are the same no matter where you are in the world. I once had a professor say, "A smile is the universal language for being happy." I learned this is so very true. I loved seeing smiles from all over the world. Whether they were from teen village girls in the Andes guiding Alex and I on foot to the next village, or a Tuk Tuk driver in Cambodia at 4:00 in the morning teaching us culture in his country (they wake up before the sun rises to exercise outside because it gets too hot, similar to Arizona...) Though countries celebrate different customs and honor their cultures differently, people are all humans and smile when they are happy. 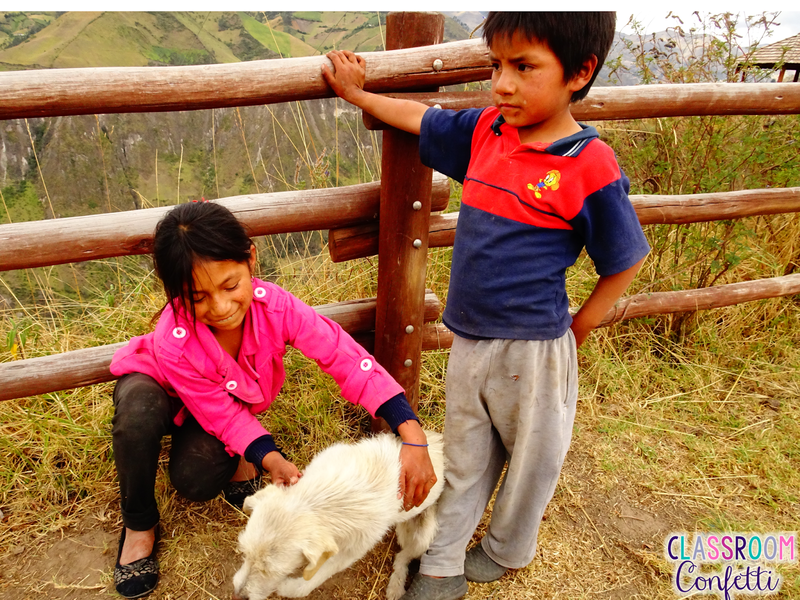 Local village children playing with a dog in the Andes of Ecuador. 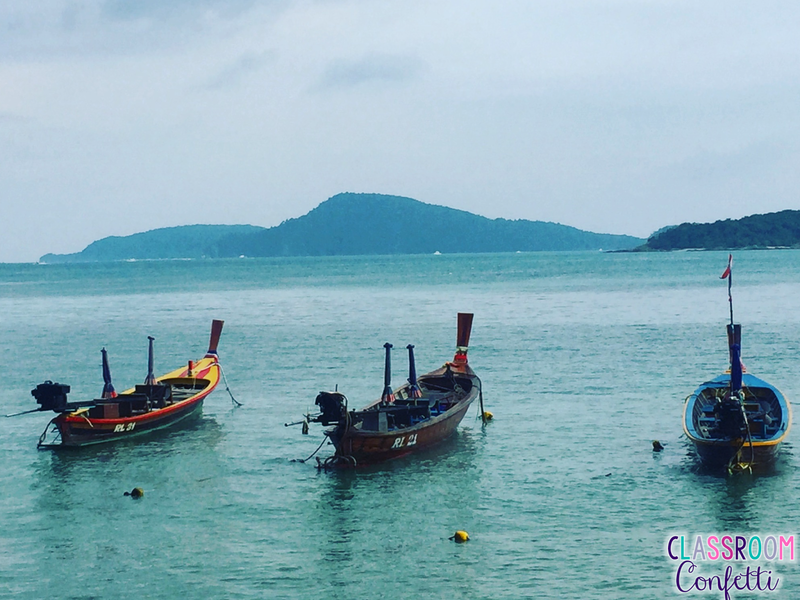 Enjoying the view near Rawai Beach in Thailand. 1. I crave new experiences. Whether it is as simple as trying a new restaurant or new trail to hike to visiting a new state or country to trying a new sport or learning a new concept; I need new and unique experiences I can learn from in life. I thrive on this. I encourage you to try something new today. 2. I love my career as a teacher. I cannot tell you how many times I missed being in the classroom wishing I was with my students. As I was walking through the mountains of Peru to traveling through Vietnam, I couldn't wait to bring back my newfound knowledge and experience into the classroom this July. 3) To not be so hard on myself. I had a goal and I achieved it. Were there hurdles I experienced this past year? Absolutely. Did I get through them? You bet! Making mistakes is okay. Recognizing you made a mistake is even better. Realizing your strengths and successes is the best. I recognize mistakes I made and I realize successes I have had. I learned to not be so hard on myself, it's not worth it. 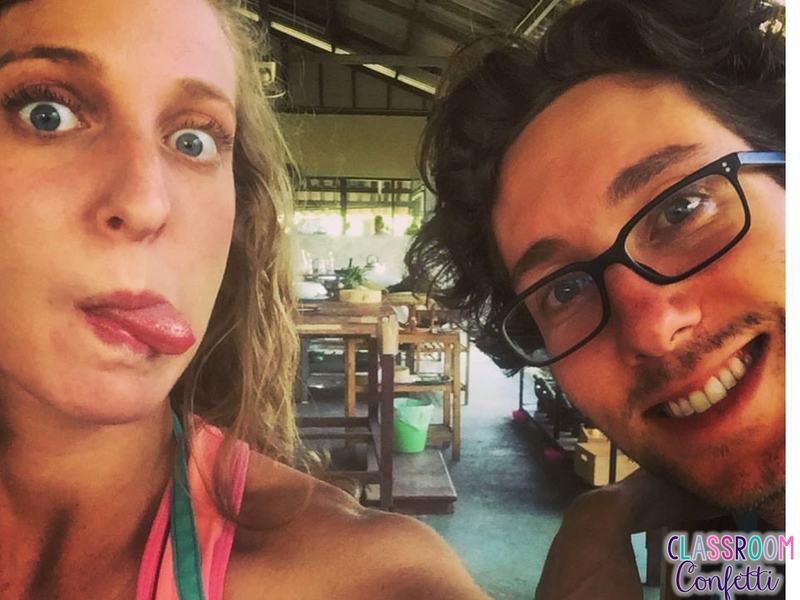 Alex and I goofing around at cooking school in Thailand. What happened when we got back? We found a condo to rent, interviewed and accepted new teaching positions, and lived happily ever after. Not exactly, but close. We are still living off what we saved in Oregon plus a small income from Teachers pay Teachers. Our condo is comfortable and feels like home while we are getting situated back into Arizona. Two more months and we begin teaching again. We are looking forward our new classrooms. On our way into the Phong Nha Cave, Vietnam. It took some time to get back to what people call "real life." (I actually believe we lived "real life" while traveling around the world. I can tell you many "real life" stories, but that is for another time.) It is comforting to have a place to call home instead of moving every couple days, I love having my cat back, and I am enjoying the comforts of a first world country. However, I do miss waking up in a new city, planning how to get to the next adventure, and the thrill of walking new streets. But overall, I am happy to be home. This is the point of this post and if you have made it this far, congratulations! In conclusion, if you have a dream, an inkling, a desire, or a feeling...Follow it. Be brave. I was lucky to have a partner in crime through this journey (not sure I would have done it alone.) Taking a year off for myself was the best decision I have made so far in life. To the amazing people Alex and I met around the world, to the not so wonderful food and long overnight bus rides, to the sunsets in the islands of Thailand and the sunrises of South America, to a nasty little parasite from Peru (which was my favorite country! Nothing against Peru,) I would make the same decision to take this year "off." If you would have asked me a few months ago if I made a mistake to leave for year, I may have responded, yes. Now that it is all over, I can confidently say it was not a mistake to take a year to travel. Alex and I atop a mountain on Cat Ba Island, Vietnam. So many people have told us how lucky we are. This didn't happen from luck. Yes, Alex and I are extremely fortunate to have had this experience. But we worked for it. Hard. We are still working for it. You can work for it too. Travel is attainable for everyone. Whether it is a weekend to a new place 100 miles away or a three year international extravaganza, there is a way to make it happen. I encourage you to step out your door and travel somewhere new in the near future. Chase your dreams. Be brave. Make it happen. Thank you for sharing. enjoyed! !